After three momentous events: the cause for the beatification and canonization of Fr. Pedro Arrupe, introduced in Rome on 5th Feb; the promulgation the UAPs to the whole Society on 19th Feb; and the meeting of Superiors General called by Pope Francis from 21st – 24th Feb in Rome on safeguarding minors and vulnerable adults, Fr. 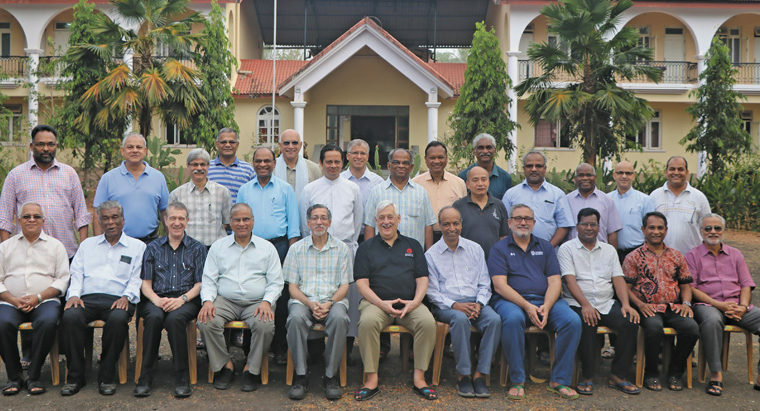 Arturo Sosa flew in to Goa to interact with the Provincials at JCSA, held at the Pedro Arrupe Institute, Raia in Goa.